Respected police officer John River, a gifted cop with a troubled mind, struggles to come to terms with the recent loss of a close colleague, and chases a potential suspect across London - with tragic consequences. 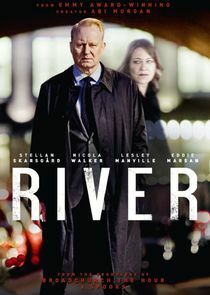 Now at odds with authorities both within and outside of the police service, River finds himself in a precarious position as he seeks to bring closure to the mother of murdered teenager Erin Fielding, who blames him for failing to keep his promise to bring her daughter back alive. Police crime drama, starring Stellan Skarsgard.